Everyone assumes that self-driving cars will stick to the rules of the road as strictly as a teenager taking their driving test. But life is unpredictable, and often times fast, evasive maneuvers are needed to avoid an accident. To ensure they’ll perform just as reliably when they have to drive more aggressively, this RC truck is learning how to drift all by itself. The AutoRally platform is technically still a toy, but at almost 40-inches in length and with a top-speed of 62 miles per hour, it’s a perfect fifth-scale replica of a human-sized car. Researchers at Georgia Tech have upgraded it with gyro sensors, wheel encoders, a pair high-speed video cameras, and a quad-core computer with 32 gigabytes of RAM at its disposal for processing all of the data it collects in real-time. 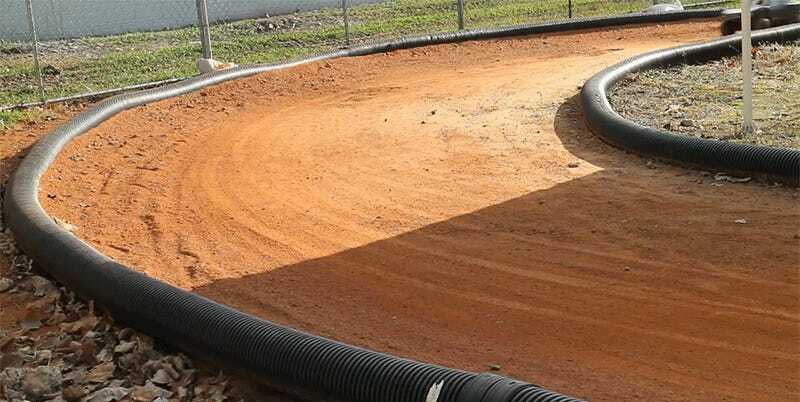 After a couple of low-speed human-controlled practice laps on a dirt track to familiarize the truck’s AI with the simple course, the vehicle was left to navigate it all on its own, while trying to maintain a constant speed of around 18 miles per hour. Using specially-developed algorithms that calculate 2,560 different possible trajectories for the oncoming two-and-a-half seconds of travel, the truck calculates the best possible way to safely navigate a corner or straightaway all by itself using its steering, acceleration, and braking. Most of the time that includes power-sliding around a corner to maintain as much of its speed as possible—a skill that the little truck learns all by itself through trial and error. Those thousands of possible trajectories are re-calculated 60 times every second, allowing the vehicle to make subtle corrections to its steering and acceleration to make sure it’s always heading in the right direction at a speed that’s not going to send it crashing into a barrier. The key innovation here isn’t about teaching autonomous cars how to safely drift around corners at high speeds—as cool as it looks. It’s about developing a system that can allow a self-driving car to remain in control at all times, even while making aggressive maneuvers to avoid a collision or slippery conditions in bad weather. Slowing to a crawl every time it rains will keep self-driving cars safe, but they won’t do the world any favors when it comes to traffic jams.